It’s Melissa here and I’m really excited about today’s post! Our current challenge is all about tags so I thought a fun project would be to show you how I make “technique tag” rings! Do you ever love a technique you see someone do? Does an idea in a video look amazing, and you want to try it but then you sit down at your desk and you can’t remember what or how the person did it? You just go blank? Well, me too. I started to really get into inking techniques after watching Jennifer McGuire’s amazing technique videos a million several times. And I wanted to remember all the goodness so I started making example pieces and had them hanging all over my wall. Then I took the “Creative Chemistry” class and Tim had us do one technique on one tag and put the instructions on how we did that technique on the back of the tag. Brilliant! I love that all my most beloved techniques are at my fingertips! I keep my tag rings in my craft caddy right on my desk. So today I have 3 tags with really simple techniques. I have a PDF at the bottom of the post for you to download so you can make the tags and see the instructions. The technique tag ring complete! Keep adding tags as you learn new techniques! I keep these tags really simple because 1) they are for reference, 2) I need them to lay flat and 3) if I use more than one technique on a tag I won’t know which technique I used. I also use a piece of water color paper to do the technique then adhere that to my tag but you could totally do the technique on the tag itself. I would probably use a white or manila tag if going that route. Click HERE to download the PDF with simple instructions! I hope you will give this a try! The sky’s the limit, if you’re into copic coloring techniques or blending with colored pencils, do that! Or stamping techniques, make a ring for that too! Remember that Simon Says Stamp is sponsoring our current challenge, Tag, You’re It! If you play and link up with us, you’ll be entered into a drawing for a $25 egift voucher! Wonderful idea, wonderful tags! Thanks for sharing! Awesome idea! I can't believe I never thought of doing that. I just finished my ink tags from the Kick Start class, so now I will be adding these too! I had such high good intentions to make technique tags after taking Chem 101 but never got around to doing it! Maybe this is the push I needed. Thanks for sharing your tags and providing the PDF's! I bought a canvas to do Jennifer's techniques in Inspirations Showcase (note 'bought' not 'did'). Tim's tags were a great idea and I owned the tags (but still haven't made a single one). In Kick Start tags were used for showing inks (that's a great idea. Was digging through a dawer to 'shop my supplies' and guess what I found, ink tags I had made. Go figure.) Now you are encouraging the tags. I wonder how many times I have to be told to make samples before I actually get it done! 😀 Then I can organize and find them! Great idea, Melissa and thanks for the PDF with the typed instructions! I made the canvas in Jennifer McGuire's outstanding Inspiration Showcase but this is an added incentive to make more samples of my favorite techniques. Love seeing you here! Melissa what a clever idea to contain all the ideas we get around blogland, btw loved your tags!!! wow these are fabulous!!! THanks for the PDF love these techniques! 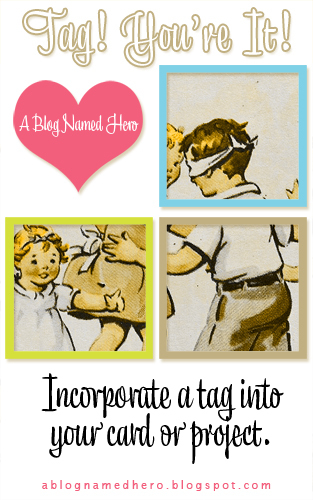 Your technique tags are not only beautiful, Mel, they are so useful too – a wonderful idea to help keep the creative juices flowing – love it! Melissa, I love this idea. I think this is the best way to have all the favourite techiques on hand reach. What a great takeaway from an online class (I started doing this during Design Principles by Britta Swiderski). I appreciate the PDFs – they make these tags an easy and fun addition. Thank you! LOVE the idea! learning can be so lovely…the tags can be something to pass on to the next generation too! What a great idea! You can be learning and experimenting and creating your sample tags all at the same time. Love it. What a great idea, Melissa! And your tags are gorgeous! Wonderful idea to practice and learn techniques! I think I am going to add this to my crafting routine…so smart of you! These tags are gorgeous. Thank you for sharing these techniques! I am looking forward to trying them and plan to take Creative Chemistry as a self-paced class. Absolutely fabulous idea! And the techniques are gorgeous as well… WOW, Melissa!! What a fantastic idea! Thank you for the inspiration and the free tags to get us started! This is a wonderful idea! I'm going to share a link back to this page on my FB page. Thanks so much for sharing it!